and donate it or them to our silent auction. Pick any theme and create a one-of-a-kind Christmas item for some lucky buyer! The theme and decorations are your choice but we are asking people to keep the trees between 6 inches and 24 inches tall and the wreaths between 6 inches and 20 inches in circumference. You can put lights on them or not—whatever you want to do! 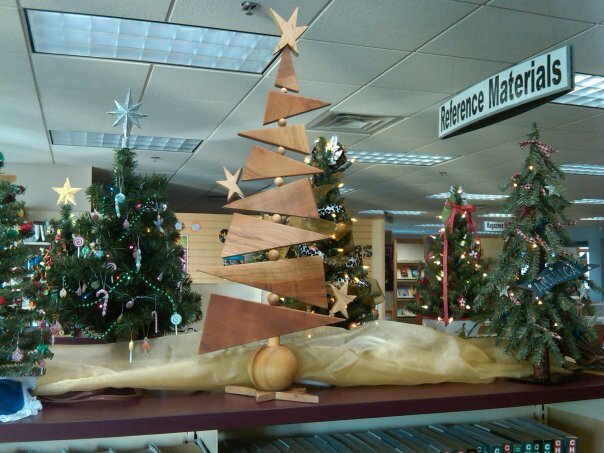 There will be a group decorating get-together in the Main Library’s meeting room on Saturday, November 27th from 10 am to 1 pm. Trees will be available to purchase and some décor to choose from or bring your own. You can also choose to decorate yours at home, whatever sounds best to you. 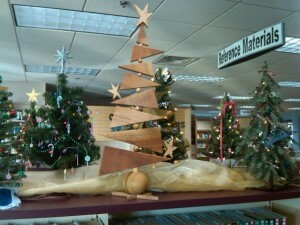 Please bring the completed trees and wreaths into the library beginning November 22nd through the 27th. The auction begins on November 29th and ends December 11th at 5 pm. Winners will be called on Wednesday, December 14th. Be sure to come in and make a bid on your favorite Christmas items!